Francois and his siblings are the first generation of the Veronneau family to be born in North America. He was born in Boucherville, Canada (then New France), just outside of Montreal in 1707. He married Catherine Robin in 1732 and lived to the 1760s. No death record has been found at this point, but it is believed that he died around 1763. 1707: Francois Veronneau is born on June 27 in Boucherville, the son of Denis Veronneau and Catherine Guertin. 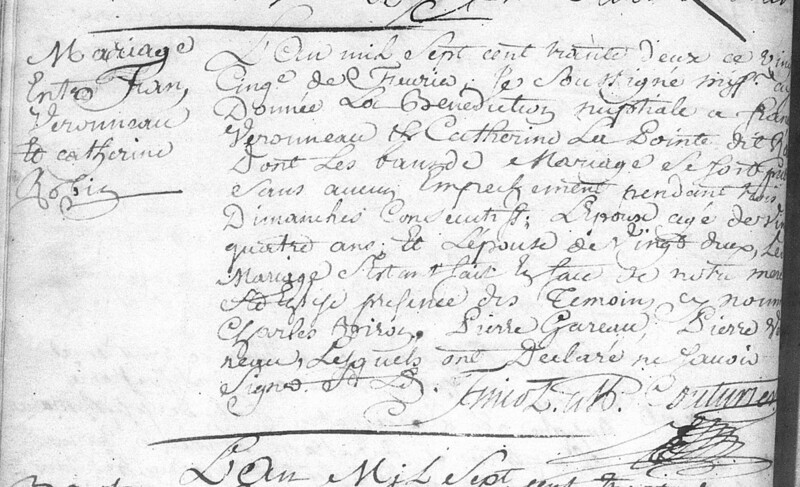 1732: Francois marries Catherine Robin in Terrebonne on the 25th of February.